Once upon a time the pipes in my basement froze. I went down there, shivering, and looking at the piping going to the water heater and from it, and after two minutes declared myself clueless and called a plumber. “It’s $75 for the house call,” he said. I hesitated for a second…but realizing I needed to take a shower, and there was no water, I gave in. He showed up an hour later. I showed him downstairs to the basement. He looked at the situation for all of about 10 seconds and then said, pointing with a hammer, “Your outside air is coming in right here above this pipe, I bet it’s frozen here,” and gave the pipe a light tap. I instantly heard a blockage inside the pipe give way and water rush through the pipe. He then grabbed the metal tubing that brought in the inside air, and turned it so it wasn’t blowing directly on the pipe. And then? Then he charged me $75. I was glad to pay it, because; 1) he fixed my problem, and 2) I knew I wasn’t just paying for his time, but his experience. I could have spent hours trying to figure out the problem. And ever since then, more than 10 years ago, I’ve been waiting for the day I’d be at someone’s house and they’d say “Our pipes are frozen!” and I could do for them what that plumber did for me, and impress the socks off my hosts, because when it comes to fixing that particular plumbing problem, I’m now just as much of an expert as that plumber. All you need to be an expert is the ability to serve in a particular area. If I wanted to (I don’t), I could start a plumbing business that specializes in fixing frozen pipes in basements. I could go out, see if the problem matches my limited expertise, and if it did, I could fix it just as well as that plumber with all his experience could. If I couldn’t fix it, perhaps I wouldn’t charge a thing. I could skip the investment in a nice truck and all the tools, I would just carry a hammer. 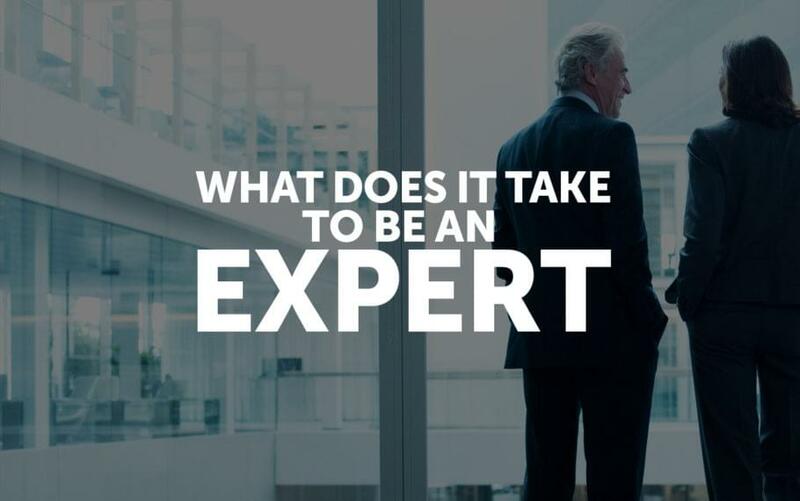 Perhaps you’re waiting to gain more knowledge and experience before you start selling your expertise. Perhaps you think you need training, time, tools, and more before you’re ready for that first step. Is that really necessary? Or could you start marketing yourself as an expert right now, today, by focusing on a small niche audience whose needs match your ability to serve? I’m willing to bet there’s a type of person you can serve very well, right now, and that this potential customer would even be willing to pay you for it. Tell me who it is in the comments below, and if you can’t think of anything you could do for anyone, tell me a little about yourself and I bet I can come up with something for you.